Scientists aren’t known for being alarmists. And that’s exactly what makes a new study released Thursday on amphibians so, well, alarming. The paper, published in Science, chronicles a “catastrophic and ongoing loss” of amphibians around the world. In the paper’s self-described “conservative” estimate, 501 frog and other amphibian species have been ravaged by chytridiomycosis, a disease caused by a fungus that has traveled the world on the back of globalization and wildlife trade. Nearly 20 percent of those species are presumed extinct in the wild, and more species could be wiped out as humans speed along the sixth mass extinction. Chytridiomycosis—caused by two strains of the fungus Batrachochytrium and known as chytrid for short—has spread from its original home on the Korean Peninsula to the rest of the world in an astonishingly short time. The disease causes amphibians to shed their skin and eventually die of heart failure. Chytrid has likely driven amphibian declines since the 1980s, but the two strains were only discovered in 1998 and 2013 respectively. That has researchers playing catch up, and the new study is the first to take a global view of the toll chytrid has taken. “There was a need to objectively estimate impact, which, unfortunately, turned out to be more severe than expected,” Frank Pasmans, an ecologist at Ghent University who worked on the study, told Earther. 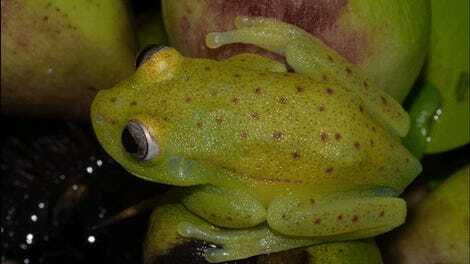 The findings, which rely on data gathered by the International Union for the Conservation of Nature, other studies, and interviews with amphibian experts, show that chytrid has caused the single greatest biodiversity loss attributed to a disease, period. The researchers place chytrid fungus among cats and rodents—ignominious company—as the most harmful invasive species on the planet. In addition to 18 percent of amphibians hit by chytrid going extinct, another 124 species have seen their populations dip by 90 percent or more, putting them on the cusp of extinction. 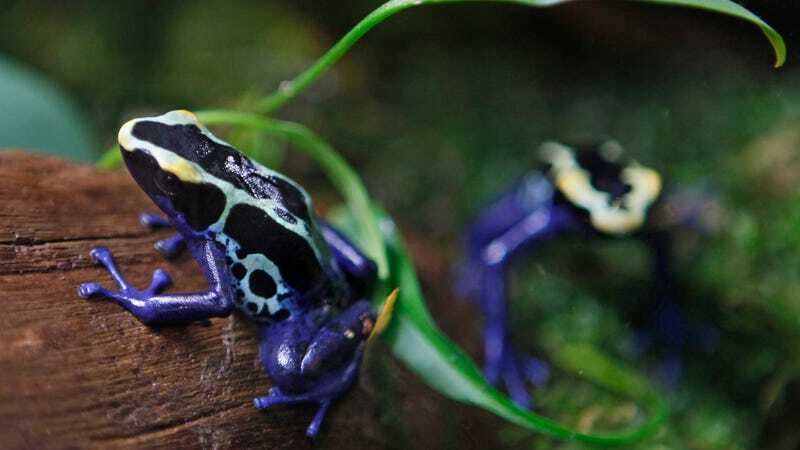 Only 60 species have shown signs of recovery, though Pasmans said it appears that the worst of the epidemic has passed in places where the disease has been found, following a spike in the 2000s in western South America, the region that has been hit hardest overall by chytrid. But that doesn’t mean it’s over. A graphic chronicling the impact of chytrid by genus. Atelopus, a genus of toads found largely in Central and South America, has been hit the hardest. “With global change, the interaction between the fungus and the frog may change,” Pasmans said in an email. One of the strains of chytrid fungus, which primarily affects salamanders, could also spread to Europe or the Americas, “regions rich in highly susceptible salamander species. What those barriers look like in a world with roads crisscrossing ecosystems and planes, boats, and trains crisscrossing the planet are hard to imagine. Globalization has opened a Pandora’s box of invasive species and diseases, and climate change is adding further stress. That’s led to some wild interventions from carpet bombing islands with invasive rats or hunting snakes with glorified BB guns. Those techniques won’t necessarily stop an invasive disease, though. Pasmans suggested more regulated global trade, particularly when it comes to animals, could mitigate some of the risks. Some scientists have even called for an import ban on all amphibians into the U.S. to stop the spread of the fungus. More aggressive interventions where chytrid or other invasive species or diseases have been found could offer another pathway forward.